Ad insertion in the middle of a sentence. It'll be fixed from now on. My apologies. Apple’s Scary Email and what you should or should not do about it! And Podnews adds: Spotify was launched in India on February 26th. Android has a 90% market share in that country. Dave Jackson’s visit to On Air FestBecause of the focus on stories, almost every podcast I heard about uses seasons. I also heard phrases about “funding.” Such as “I’m working on season three, but we are still waiting on funding.” Speaking of funding…. Scripps, who own Triton Digital and Stitcher, have seen revenue grow by 41% in Q4 2018, according to new results from the company. Revenue for Stitcher, which includes Midroll, was up 64% to $16.7 million. And yet Lex Friedman their former Chief Business Development Officer and Korri Kolesa their former CRO left for Art19. 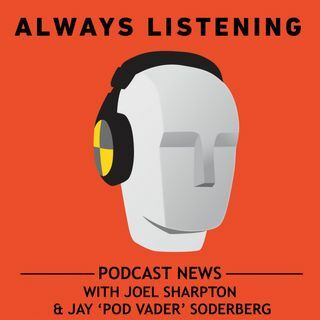 You can subscribe to the show in Apple Podcasts, Google Podcasts, Spotify, Stitcher, or anywhere you listen to podcasts.If you need help with your show, both Jay and Joel are available for consultation, just email us your needs.